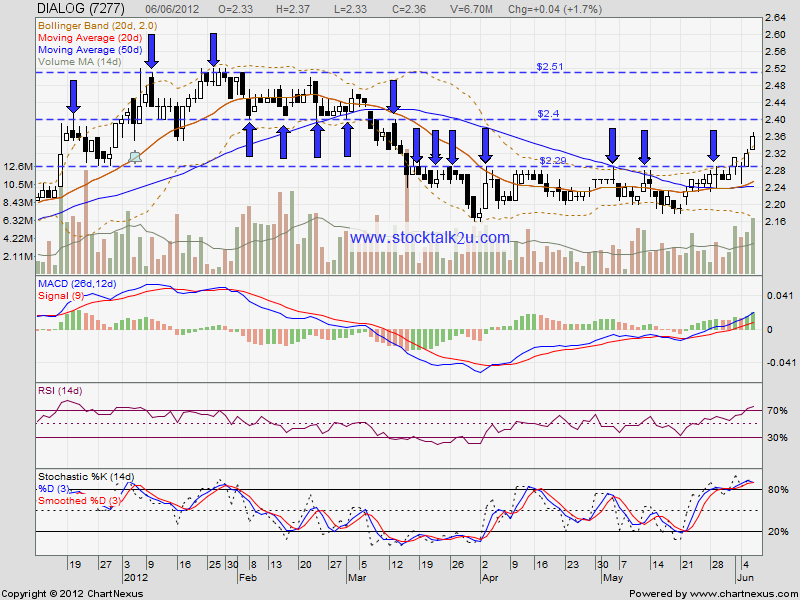 DIALOG succeed break through strong resistance RM2.29 level. 1. MACD moving toward positive region, uptrend sign. 2. Stochastic %K around overbought stage. 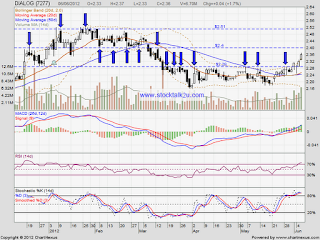 If the bull strong enough, potential retest RM2.50 resistance level.